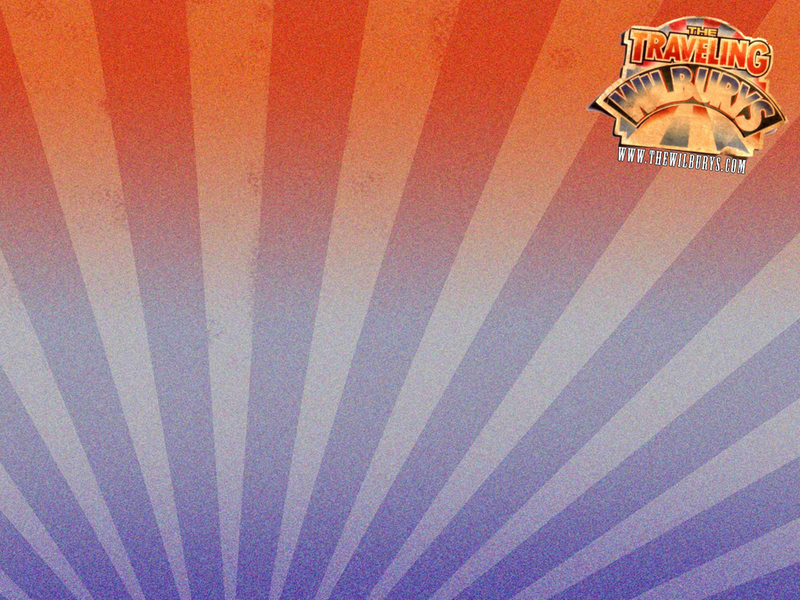 Welcome to the Ultimate Information Resource for everything Traveling Wilburys Related! Traveling Wilburys fans! The time is upon us! 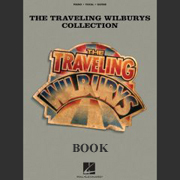 The Traveling Wilburys Book is now listed on Amazon.com and taking pre-orders for its January 15th 2008 release! The book contains rare inside information to the world of The Traveling Wilburys. It includes snippets from the vault of George Harrison and other Traveling Wilburys members! I suggest you pre-order this book before it runs dry on Amazon much like the Deluxe editions of the albums! I suggest you purchase this rare and exclusive book before its to late. Hi there Traveling Wilburys fans! Im proud to announce I have just added a new page to the site with information on which albums you can buy and links to where to buy them from. I have purchased every album I have listed and can highly recommend broadening your music to not just incorporate The Traveling Wilburys, but also George Harrison, Roy Orbison, Jeff Lynne (ELO), Tom Petty and Bob Dylan. I thought I would add them all in one place so current and future Traveling Wilburys fans would be able to purchase the albums easily and know which albums each member made in their solo careers. Link below! "In the week that the long-awaited re-issue of The Traveling Wilburys Volumes 1 and 3 went on sale, Genesis Publications is pleased to announce a long overdue limited edition book on the world's greatest supergroup. Expected for publication in Autumn 2007, the limited edition Traveling Wilburys book will present a trove of unseen photos and memorabilia from the Harrison estate archives. These will sit alongside classic photos of the band with text drawn from interviews given by the various Wilburys all over the world. " Good news for all us Traveling Wilburys fans! Remember to pre order or miss losing out! Wilburys fans! What a great special the BBC have broadcasted on The Traveling Wilburys. You have to hear this, for the first time in ages the Wilburys appear to be getting the supergroup credit they deserve. Barbara Orbison and Olivia Harrison have started doing a bit of promotion for the re-lease of the new Traveling Wilburys albums aswell and we will be airing those shortly. I have posted the .mp3 file of the interview on the website, i hope you enjoy :) Click to download and listen. A special thanks to Wilbury Steve from TheWilburys.net Message board for posting the BBC Special, and also another special thankyou to Barrie Geddes for his version of the Orbison and Harrison interview. Enjoy! Linen-bound edition, 2 CDs (Volumes 1 and 3) w/bonus tracks, bonus DVD, and a 40-page collectible book with photos, original liner notes, new liner notes and a uniquely numbered certificate of authenticity. 2 vinyl releases, Volumes 1 and 3 with an additional 12-inch featuring bonus tracks, a collectible album-sized book, plus additional postcards/posters. Downloadable editions of Volumes 1 & 3 with bonus tracks, video content and an interactive booklet. The official Traveling Wilburys website is now online, you can view it by going to www.travelingwilburys.com and registering your expression of interest. This is no doubt a pre-launch advertisement that reinforces the fact that we are soon to see the re-release of Traveling Wilbury's Volume 1 & 3. This is all great news for us Traveling Wilburys fans! "Some Day everybody gonna be a wilbury!" The Traveling Wilbury's back catologue of records such as Traveling Wilburys Volume 1, Traveling Wilburys Volume 3 will be re-released on Rhino records a source has confirmed at Billboard.com. Volume 1 and Volume 3 will be available together in one package with bonus tracks and a DVD of rare footage as a deluxe linen-bound edition, a vinyl package and a digital based version. The DVD apparently contains 24 minutes of documentry and 5 music videos. Click here for more info. For those wondering who The Traveling Wilburys are, the quick breakdown is as follows: The group consists of George Harrison (The Beatles), Tom Petty (Tom Petty and the Heartbreakers), Jeff Lynne (Electric Light Orchestra), Roy Orbison and Bob Dylan, all of which formed to make the super group entitled The Traveling Wilburys. A few of their hits include; End of the Line, Congratulations, Handle with Care, Wilbury Twist and more . For more information on the group click on the Biography link at the top. This website intends to help you learn more about them or for some take a trip back in time. Interested in advertising here? Click here. 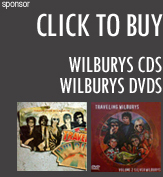 Leading Site For: Traveling Wilburys, The Traveling Wilburys, Traveling Wilburys CDs, Traveling Wilburys Albums, Traveling Wilburys Lyrics.